Colliers International (NASDAQ, TSX: CIGI) is a leading global real estate services and investment management company. With operations in 68 countries, our 14,000 enterprising people work collaboratively to provide expert advice and services to maximize the value of property for real estate occupiers, owners and investors. For more than 20 years, our experienced leadership team, owning more than 40% of our equity, have delivered industry-leading investment returns for shareholders. In 2018, corporate revenues were $2.8 billion ($3.3 billion including affiliates), with more than $26 billion of assets under management. Colliers International started its operations in Ukraine in 1997 by establishing an office in Kyiv. share great ideas and create solutions that help our clients accelerate their success. Colliers in Ukraine is a member of the European Business Association. Colliers International has evolved from enterprising, independent local business owners to an organisation of 522 offices and 13,000 employees around the world with headquarters in Seattle, Washington. As we grew, we continued to seek out partners who shared our common values and spirit of enterprise. Colliers International Ukraine was founded in 1997 to assist multi-national corporations, developers and investors present in Ukraine or looking to invest here. Colliers International is the leader in global real estate services, defined by our spirit of enterprise. Through a culture of service excellence, and a shared sense of initiative, we integrate the resources of real estate specialists worldwide to accelerate the success of our partners. Giving back is an essential part of who we are. We donate our time, talents and resources to causes that are meaningful to our employees, their families, our clients and communities. We’re also deeply committed to environmentally and socially responsible business practices – the kind that keep our communities healthy and or earth happy while supporting the long-term success of business. By doing so, we're not just 'doing the right thing'; we're making sure our business is more responsive and our people more confident in how they learn and respond to change. At Colliers, we support both global and local charities that our professionals and clients are passionate about. Our sponsorships range from donating volunteer hours and in-kind service to cash gifts, and in keeping with our flexible enterprise operating model, most of the charitable decisions happen at the local level. At Colliers International, we acknowledge our responsibility as one of the world's largest real estate service companies to be leaders in thought and action supporting sustainability for business and the built environment. Did you know that most of the world's pollution comes from buildings? Most people think it comes from cars, but that's not true—in fact, only about 16% of the world's pollution comes from cars, while 40% comes from buildings. As a result, Colliers and our clients have an incredible opportunity to make a lasting impact on environmental stewardship through our sustainability services. Building energy use represents a significant percentage of most companies’ carbon footprints. Energy savings and reduced waste in buildings is also cost-effective and financially rewarding. Colliers’ sustainability strategies help our clients create healthier workplaces, which can improve employee attraction, retention, wellness and productivity while improving each organization’s financial performance and brand. To help our clients reach these goals, we sell, lease and manage green space on behalf of landlords, and help tenants find, lease, build out and project manage green space. We also help certify both structural and commercial interior green buildings. Colliers has more than 200 LEED accredited professionals, including LEED-certified project managers. Colliers’ global reach, extensive client base, distribution network, emphasis on knowledge leadership and our talented team of researchers, communicators, negotiators and implementers allows us to play a key role in the sustainability movement. We are developing and piloting a comprehensive system for measuring and reducing our carbon footprint as a company and educating our people to do the same at home. Greening of operations is implemented at both the national and local levels, including our green office programs which are aimed at generating grassroots involvement and cultural transformation. We also collaborate to implement leading green building solutions and share research, knowledge and best practices internationally. To Colliers, sustainability represents new opportunities for growth and vitality in business, society and our individual lives. We are inspired to rise to the global challenge we all face today and are committed to helping improve the legacy of our global society. Welcome to the Colliers International EMEA events page. Below is a list of upcoming commercial property events that we are hosting and attending. Our executive and senior management teams are successful because they truly embrace the enterprising spirit of the company. They are passionate, committed leaders who share a common goal: to accelerate the success of everyone associated with Colliers International, from our sales professionals to our support staff, and most importantly, our clients. Alexander Nosachenko started career in commercial real estate by joining Office Agency at Colliers International Ukraine in 2001. 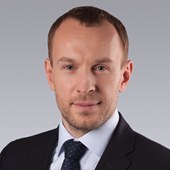 Starting from 2006 Alexander Nosachenko is Managing Director of Colliers International Ukraine. Under the leadership of Alexander, the company has significantly grown the volume of business and successfully adapted to new conditions of managing business by optimizing its operations, that allowed the company to strengthen its leading positions in Ukraine. In his role Alexander is responsible for general management of the company, attracting and developing new business, maintenance of current business and strategic development of the company. In addition to company’s management, Alexander is actively involved in investment brokerage - benchmarking investment deals finalized on the Ukrainian market is a testament to his strong track record and expertise.